CHILD 44 stars Tom Hardy as secret police agent Leo Demidov in a gripping thriller set in a Soviet Russia ruled by paranoia and fear. When he uncovers evidence of a serial killer, Leo must work against the all-powerful Soviet government – who deny the existence of any crime in their twisted idea of ‘paradise’ – to track him down before he strikes again. But how do you find a killer when crime does not exist? Testing Leo’s loyalty, the State accuses his wife, Raisa (Noomi Rapace) of being a traitor, but Leo refuses to arrest her and they are exiled from Moscow. 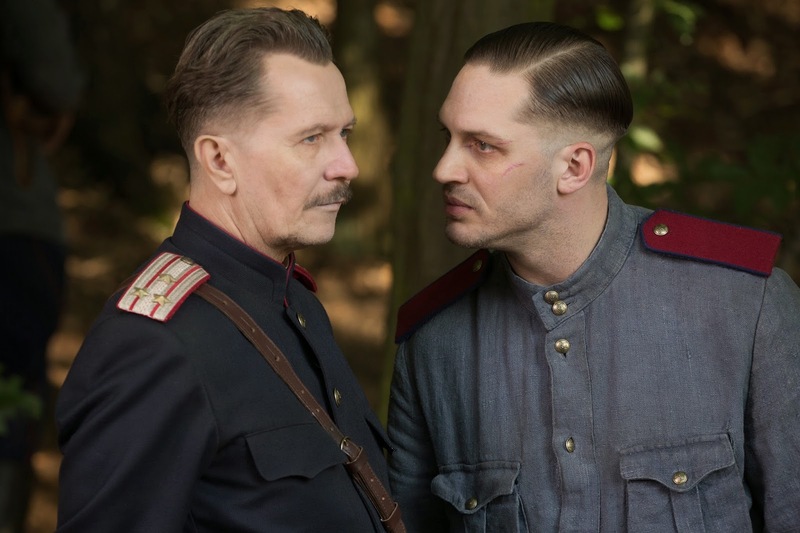 Having lost his status and power, Leo must find redemption by working with General Mikhail Nesterov (Gary Oldman) to find the murderer and stop him once and for all, no matter what shocking truth he uncovers. CHILD 44 is based on Tom Rob Smith’s best-selling novel and stars Tom Hardy (The Dark Knight Rises), Gary Oldman (Tinker Tailor Soldier Spy), Noomi Rapace (The Girl With The Dragon Tattoo), Charles Dance (The Imitation Game), Vincent Cassel (Black Swan) and Paddy Considine (The Bourne Ultimatum). 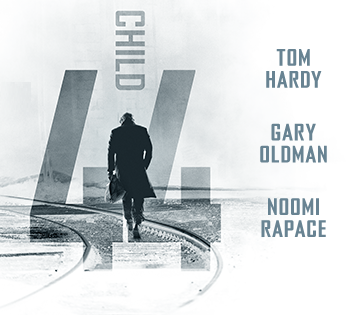 CHILD 44 is released in UK & Irish cinemas April 17.